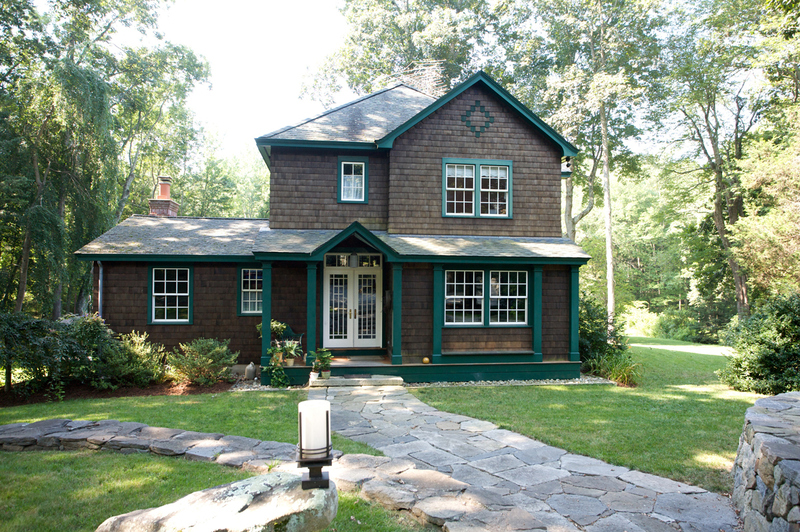 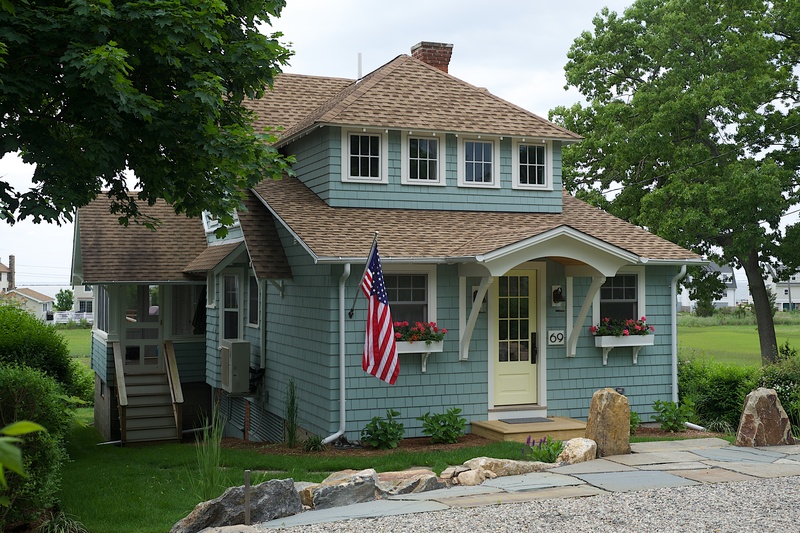 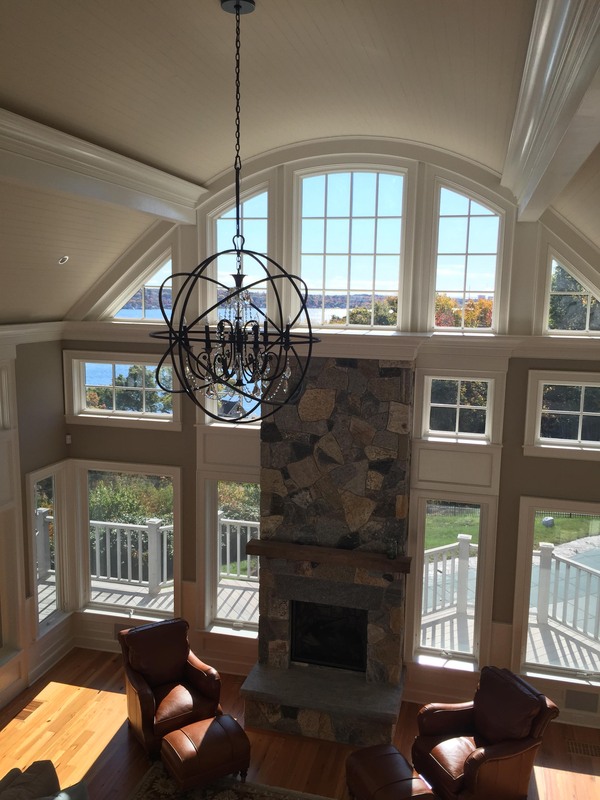 This spectacular home overlooking the Niantic River was in need of an update. 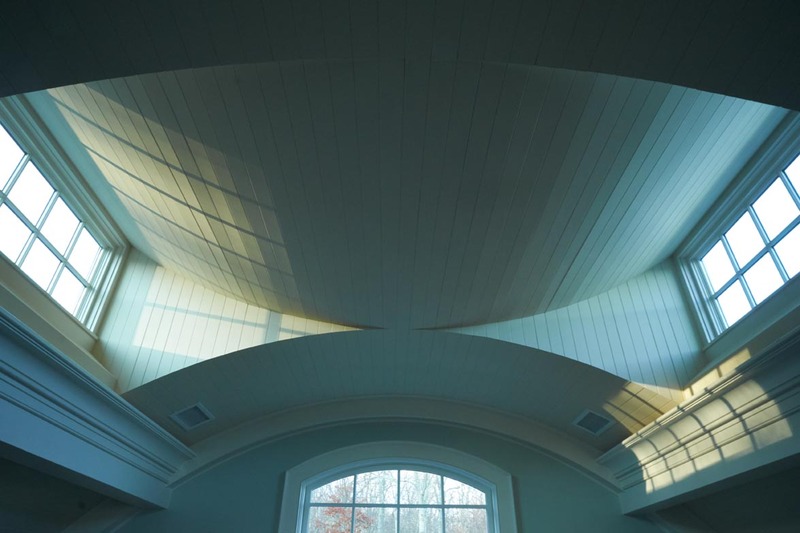 A tall vaulted ceiling made the family room cavernous so we proposed to create a barrel vaulted ceiling to make the space cozier. 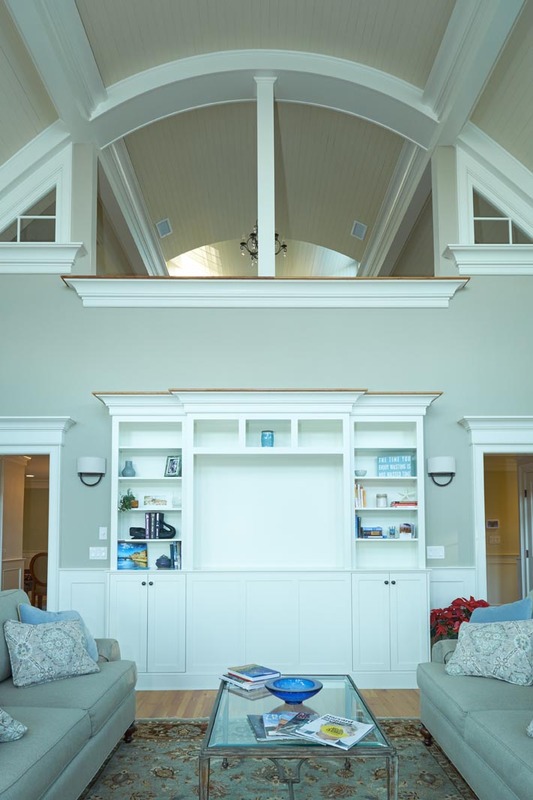 Classic details like crown moldings and paneled walls were installed to also help make the spacious family room cozier. 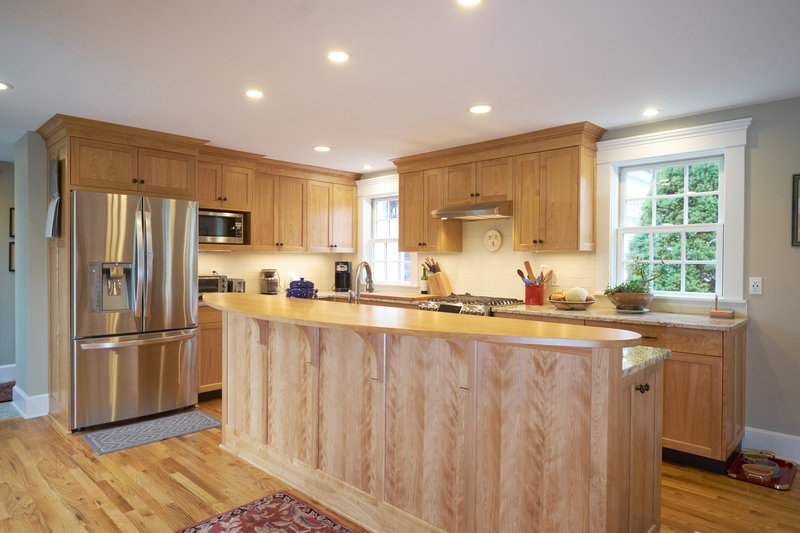 Floors were replaced with antique heart pine throughout the house. 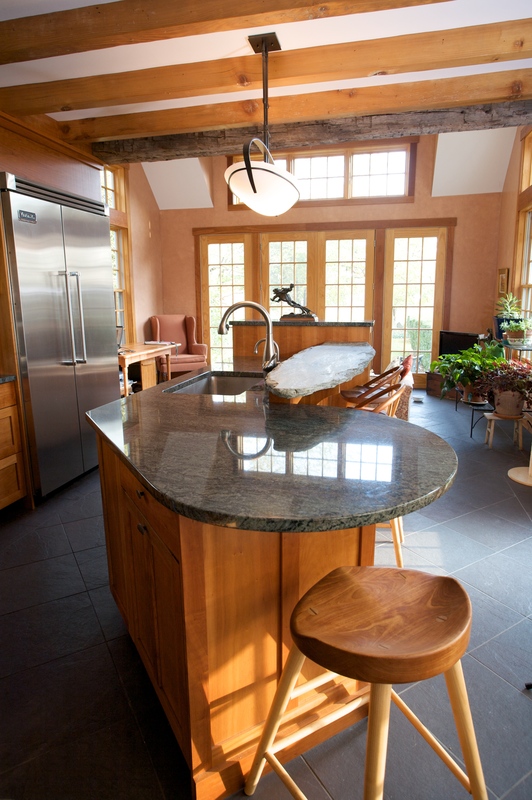 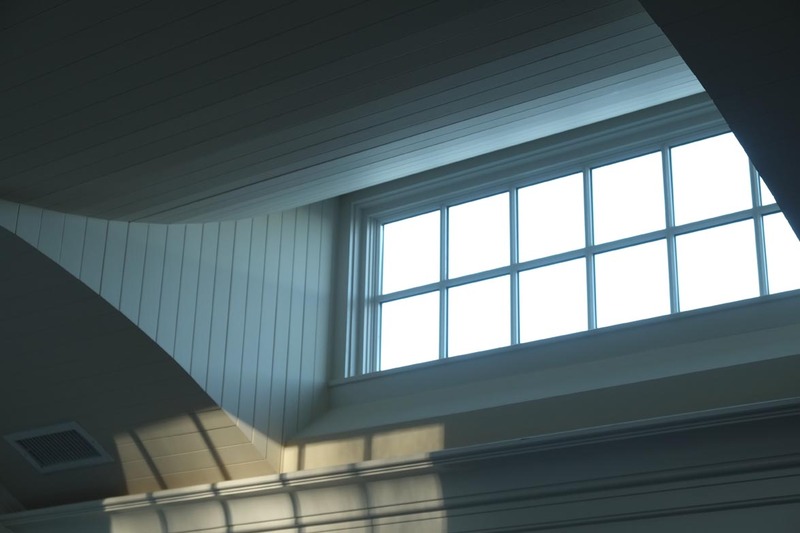 Traditional windows that follow the curve of the ceiling replaced triangular contemporary windows. 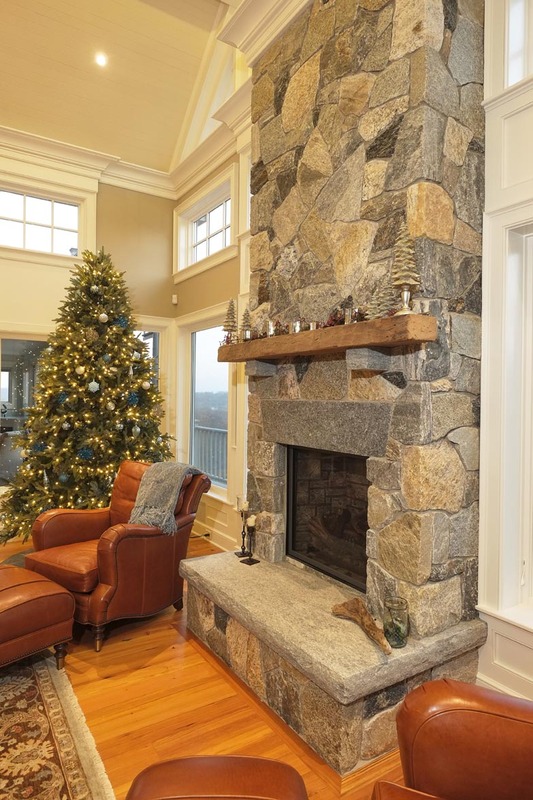 An elegant new gas fireplace replaced the massive stone chimney that overpowered the room. 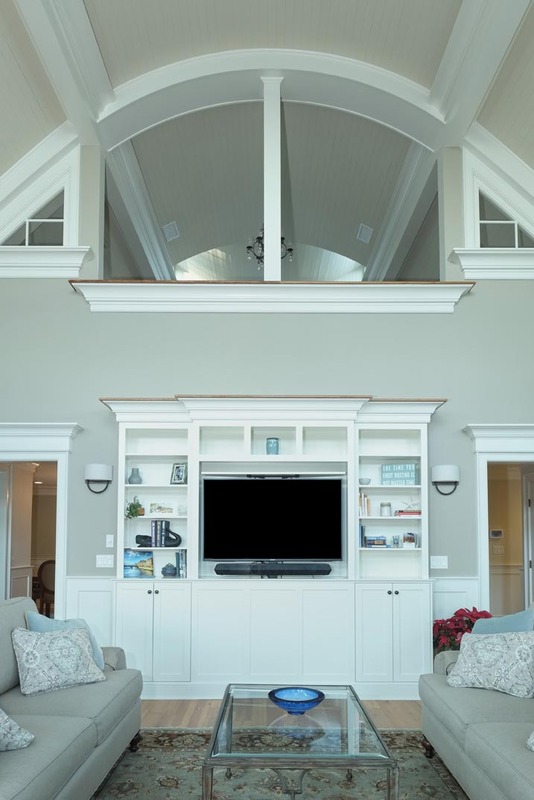 A TV built-in was installed opposite the fireplace. 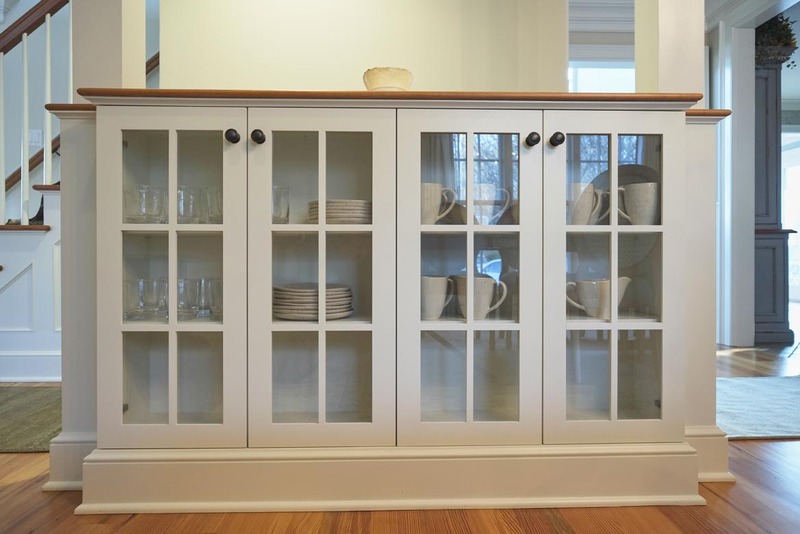 When in use, the TV lifts up from its hiding spot inside the cabinetry. 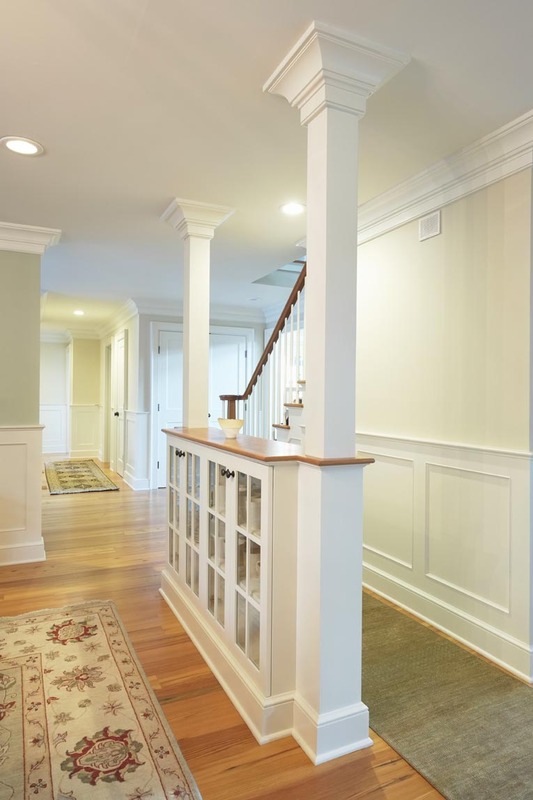 Dining room walls were taken down and a new display cabinet with columns acts as a room divider. 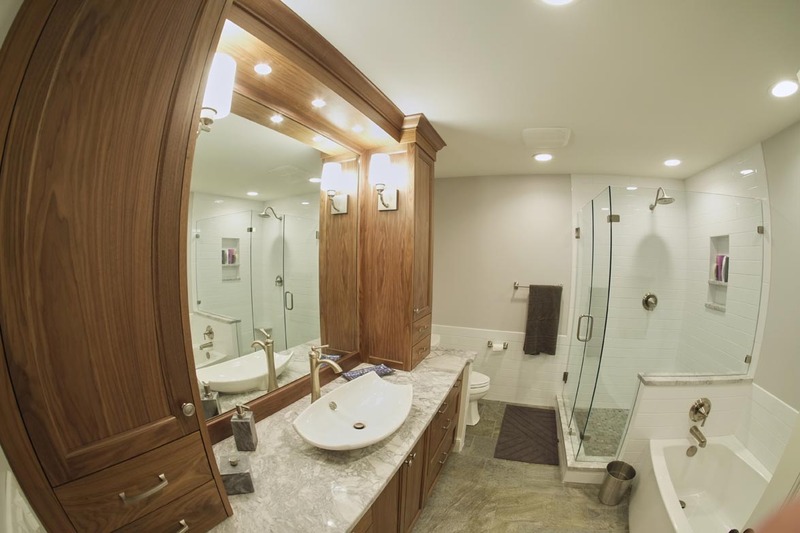 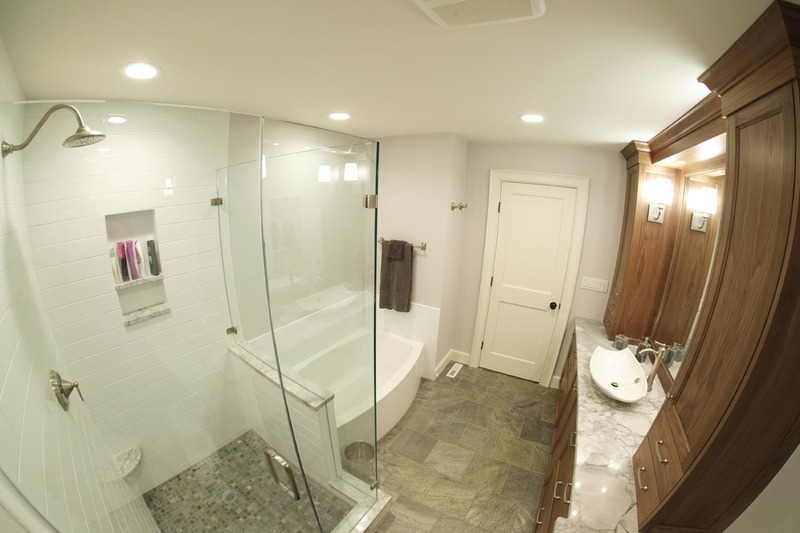 And the family bathroom was transformed from a tight, dark space into a comfortable, bright, and luxurious place. 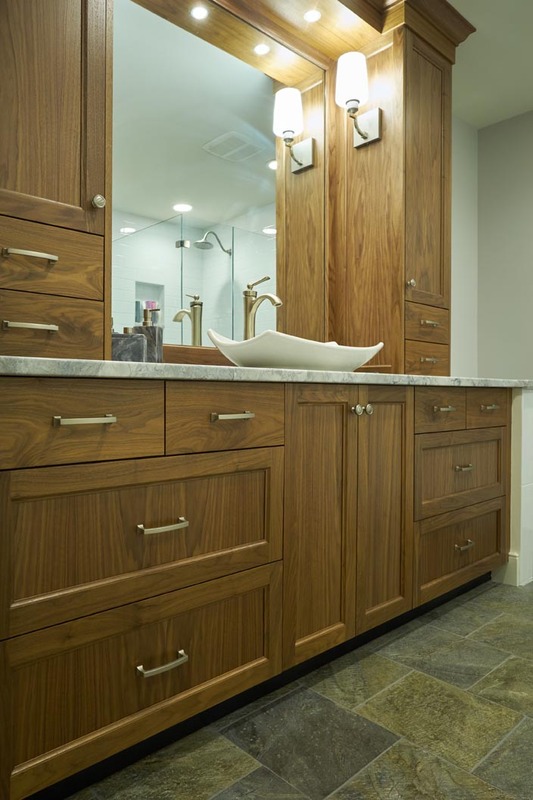 The handsome walnut vanity has plenty of storage and is topped with white fantasy quartzite. 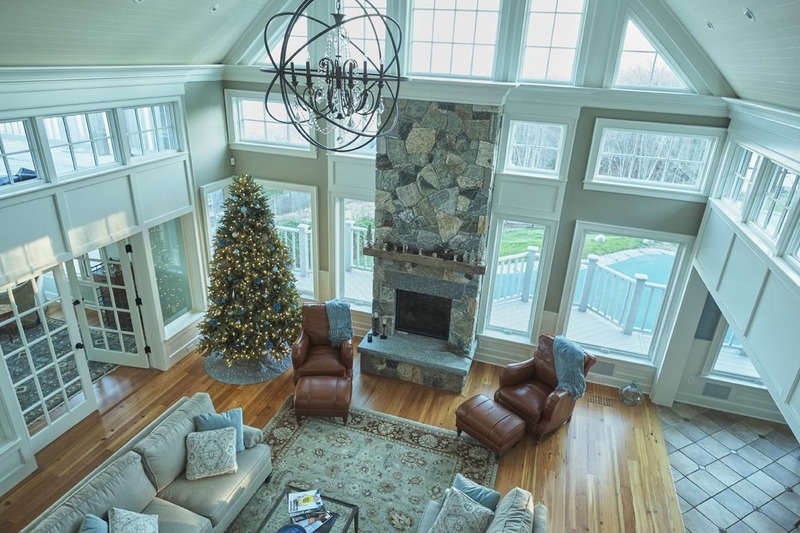 Overlooking the family room, the master bedroom also received the same finishes as the room below with crown moldings and paneled walls. 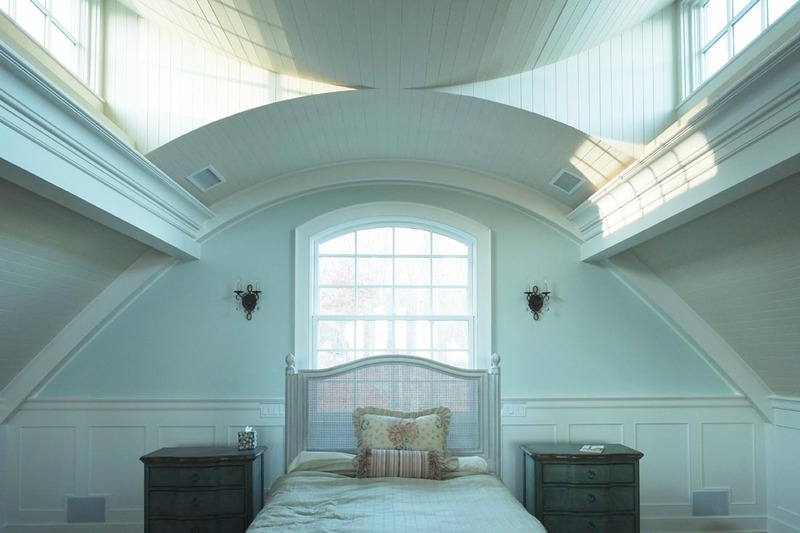 New convex curved dormers were added in the master bedroom to brighten the space and add interest against the continuous barrel ceiling.